In this poignant novel based on a true story, Virginia's story will speak to anyone who has ever struggled to find his or her place in the world. It will make you laugh and cry, and ultimately, it will fill you with hope. Born in an Andean village in Ecuador, Virginia lives with her large family in a small, earthen-walled dwelling. In her village of indígenas, it is not uncommon to work in the fields all day, even as a child, or to be called a longa tonta - stupid Indian - by members of the ruling class of mestizos, or Spanish descendants. When seven-year-old Virginia is taken from her village to be a servant to a mestizo couple, she has no idea what the future holds. In this poignant novel based on a true story, acclaimed author Laura Resau has collaborated with María Virginia Farinango to recount one girl's unforgettable journey to self-discovery. Before dawn, I wake up to the sound of creatures scurrying inside the wall near my head. Mice and rats and dogs have burrowed these tunnels through the dried clay, searching for food scraps. I'm always searching for food scraps too. Right now my belly's already rumbling, and it's hours till breakfast. The house is dark as a cave except for bits of blue light coming through the holes in the earthen walls. My gaze fixes on a new trail of golden honey oozing from a crack, just within arm's reach. Bees live in there, black bees that sting terribly, but make the best honey in the world. I poke my hand in the crack and scoop out the sticky sweetness and lick it from my finger. It's gritty but good. Staring at the scars on her legs made by her drunken father, Virginia wonders if words can make scars on her heart. (p. 32) What words would have made scars on Virginia's heart? How can her scars be healed? The Doctorita verbally and physically abuses Virginia. Why does Virginia continue to stay with her when she has an opportunity to run away from her? How does the Doctorita convince Virginia that she can't leave? To improve her self-image and attain her dreams, Virginia stops eating and begins to exercise constantly. Why does she think that being thin will change her life? What does Jose tell her to make her start eating again? (p. 139) Why does Virginia choose to believe him? This book pulls no punches. It does not sugar-coat María Virginia's experiences as a servant for a middle class mestizo family. She is dealt a cruel hand, and Laura Resau deftly writes about the details of her abuse - both physical and emotional - and her dreams of escaping her situation. Not easy stuff to read. But Laura also lyrically writes about Virginia's courage and determination - to learn to read, to understand science, to leave her abusive situation, to become the person she is meant to become - and the ways in which she slowly achieves these goals. An amazing story. (Reviewed by Tamara Smith). A richly described coming-of-age story set in a culture both foreign and familiar... by turns shocking and funny. Starred Review. 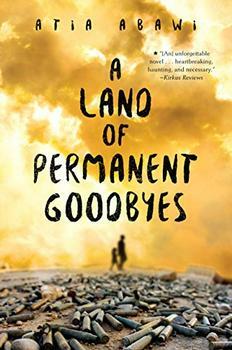 A moving, lyrical novel that will particularly resonate with teens caught between cultures. Starred Review. [A] riveting tale... Bright spots of humor and warmth are woven throughout, and readers will agonize for Virginia while seething at her tormentors... By turns heartbreaking, infuriating and ultimately inspiring. Starred Review. The authors' candid narrative richly depicts Virginia's passage from a childhood filled with demoralization to a young woman who sees her life through new eyes. The story was extremely well-written and I was hooked from the first page and believe a great deal of adults and teenagers will get a lot out of this story. Very well done! A lovely book and well worth purchasing. I was engrossed with the intense story of Virginia and really admire her courage. If you can dream it you can do it, that is her motto and I truly enjoyed reading her story. Narrated by Destiny, this heartbreaking - and timely - story of refugees escaping from war-torn Syria is masterfully told by a foreign news correspondent who experienced the crisis firsthand.